Are you looking for a professional end of tenancy cleaning service in Telford, Shrewsbury or Shropshire? We offer a professional end of tenancy cleaning service in Telford, Shrewsbury and Shropshire. These include a carpet cleaning service and carpet fitting if required. If you are renting, moving or selling your home our end of tenancy service is available for domestic customers and landlords. We also offer domestic cleaning for houses including bathrooms, kitchens, high and low dusting and vacuuming etc. Please check out below for more information and prices. Many Landlords and letting agencies require you to have you property cleaned prior to you leaving as part of your lease. To avoid losing your deposit, we will provide you with the relevant invoice as proof. 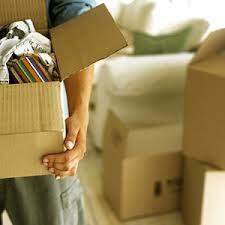 Are you moving out or moving in? ARE YOU RENTING AND END OF TENANCY? – We offer a full end of tenancy service. Once your contract has come to an end we can deep clean your carpets and general cleaning if required to avoid loosing your deposit. MOVING INTO A NEW PROPERTY? – Are you moving into a new home and inheriting the old carpets? We can clean your home before you move in ready for your move so you know its all clean and fresh ready for your new start.